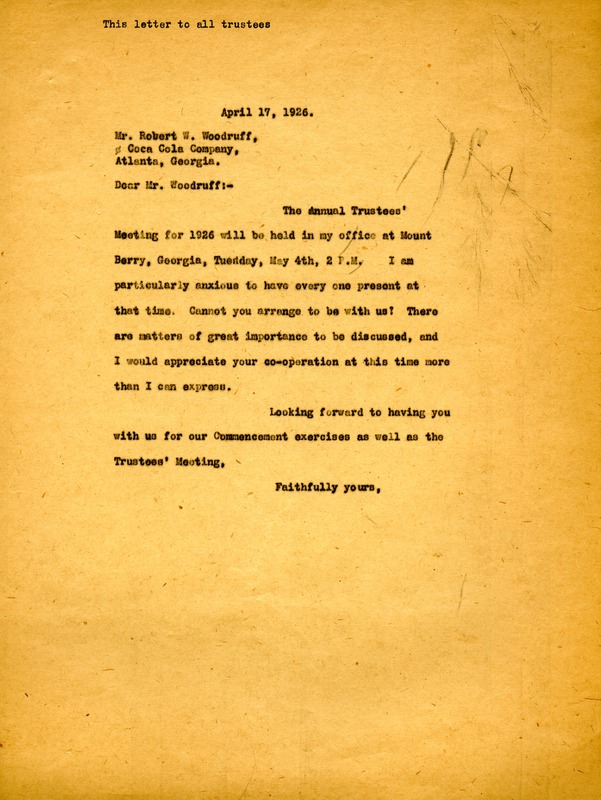 Letter to Mr. Robert W. Woodruff from Martha Berry asking him to come to the trustees meeting as well as the school's commencement. Martha Berry, “Letter to Robert W. Woodruff from Martha Berry.” Martha Berry Digital Archive. Eds. Schlitz, Stephanie A., Chelsea Risley, Haley Fortune , et al. Mount Berry: Berry College, 2012. accessed April 24, 2019, https://mbda.berry.edu/items/show/3837.